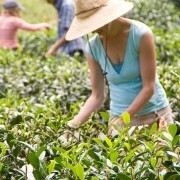 Takahiro and Kimberly Ino own and operate Mauna Kea Tea Garden on Hawaii Island. They have deep interest in natural farming techniques. They offer tours of their farm. Taka is a certified Japanese Tea Instructor and is involved in educating folks about tea preparation as well as health benefits. Hollywood and Steroids: When A-List Actors Go the A-Rod Route balkan pharmaceuticals reviews Cop ‘Roid Rage: Are Steroids Behind the Worst Police Abuses?